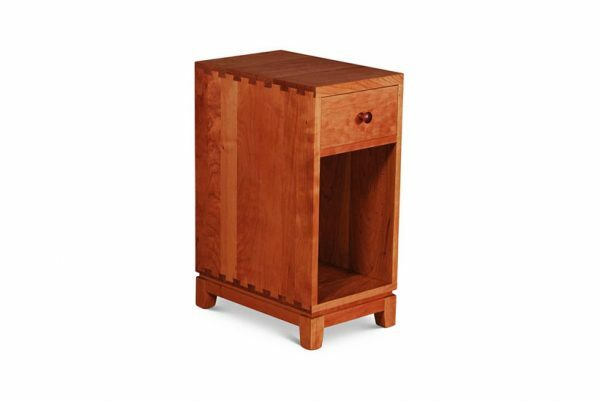 This beautifully constructed narrow dovetail one drawer nightstand is perfect for use in small spaces. Along with a single drawer comes an open bay area with optional adjustable shelving. 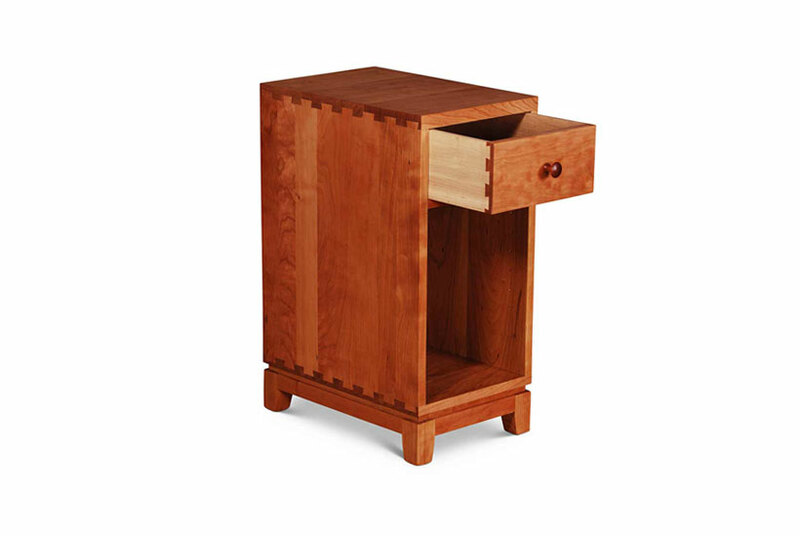 All pieces are constructed using traditional dovetail joinery for added durability and performance; 15″ wide x 18″ deep x 26″ high. 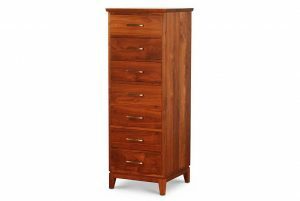 Price in solid cherry: $ 1050. 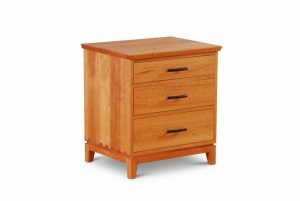 This beautifully constructed narrow dovetail one drawer nightstand is perfect for use in small spaces. Along with a single drawer comes an open bay area with optional adjustable shelving. 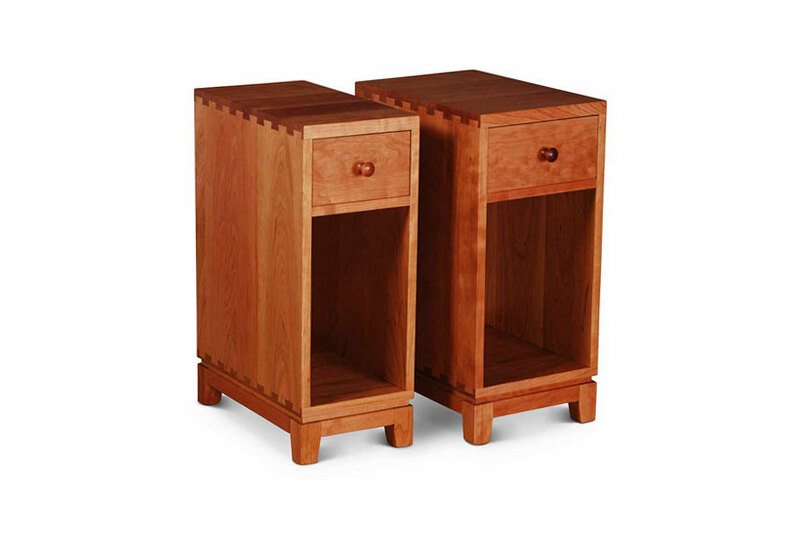 All pieces are constructed using traditional dovetail joinery for added durability and performance. Polished with non-toxic oil and beeswax for a lustrous finish. Choose from a selection of hardware. 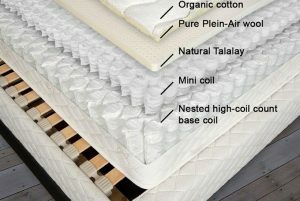 Visit our showroom to discuss your customization needs with our sales consultants. Delivery in the NYC area in our own truck. Delivery beyond our local delivery area can be accomplished via “white glove” delivery service. 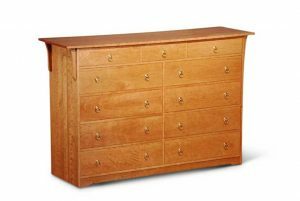 Select from a variety of locally sourced hardwoods: cherry, walnut, white oak, red oak, maple or birch.